The Hornsdale project, developed by Neoen and Siemens, is a new wind farm in South Australia, was given immense recognition and significance in an ‘energisation ceremony’. An announcement made during this ceremony highlighted that indigenous Australian artwork produced by local people will be presented on one of the wind towers, a world-first. ACT and South Australian government officials attended the opening ceromony with the local community at Hornsdale, and they turned on the 32 turbines of the first phase of the project, developed by Neoen and Siemens Australia. Neoen was responsible for the development of the Hornsdale Wind Farm and is also the French renewable energy producer. Neoen’s global CEO, Xavier Barbaro attended the celebration in Australia and stated that he was proud of the company’s potential to deliver clean energy targets that can be attained. Hornsdale is a great example of the global strength of France and Germany working together to provide clean energy for 70,000 Australian homes and new employment, training and investment opportunities in South Australia and the ACT. With almost 40% of the country’s clean energy produced by wind farms, Australia’s renewable energy footprint is increasing in size and global relevance – making it a great place to invest and do business. Neoen has been able to use our extensive wind and solar assets to expand rapidly in Australia since we started operations here in 2012. We look forward continued success in Hornsdale and across the country. Local communities play a big role in the success of wind farms and in creating a sustainable economy and it’s encouraging to see how welcoming people in Hornsdale and surrounding communities have been. The wind farm is equipped with the latest developments in blade technology, capable of harvesting extra wind energy and increasing the turbines yearly energy yield. All of the rotors of the 32 modern turbines cover a total of 10,000 m2, an area equivalent to 320 school buses parked together. The latest data and digitalization platforms are used by the high-tech platforms, and every single rotation is remotely controlled in order to increase efficiency and effectiveness. Siemens Australia is the chief builder of the wind farm. David Pryk, Head of Energy businesses in Siemens, declared that it reinforced Siemens’ dedication to investing in Australia’s future. Siemens has over 30 years’ experience in wind power managing over 16,800 turbines globally. It's important to continually develop technology to support a more sustainable and environmentally friendly future for communities and the Hornsdale wind farm is a strong testament to this focus for Siemens. This project is the epitome of partnership combined with the best technology to bring ingenuity to life for the benefit of society. It’s good for the environment, good for the economy and good for the community – all critical ingredients for sustainable success. From the very beginning of the Hornsdale project, Neoen collaborated with the Northern Areas Council in Jamestown by providing community allowances for projects. CEO of the Northern Areas Council, Colin Byles, pointed out the benefits to the local area while commenting on the support offered to the local communities. This project has made a significant impact and has also introduced a new form of energy into the area, and direct community funding has also proved to be of a great help to the local community. You can see the impact through increased patronage of hotels and other accommodation, cafes and small retailers. Also, farmers benefit by having a regular source of income and road infrastructure that even benefits local volunteer fire fighters with new access roads. The Council believes that the Hornsdale Wind Farm Community Funding is of immense value to our small community organizations. 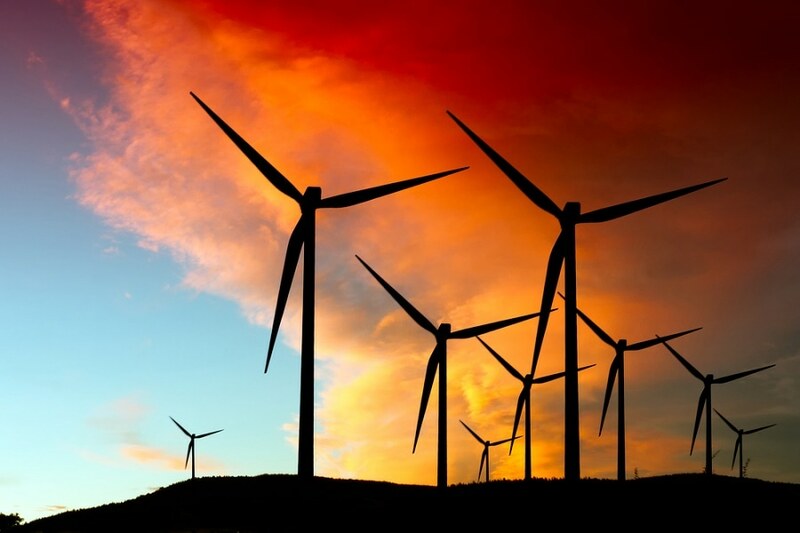 The small organizations do not qualify for the major grants offered by government and the funding from the Hornsdale wind farm provides them with the opportunity to undertake projects that they would never been able to commence. All these organizations are run by volunteers with minimum income streams coming from their day to day operations.